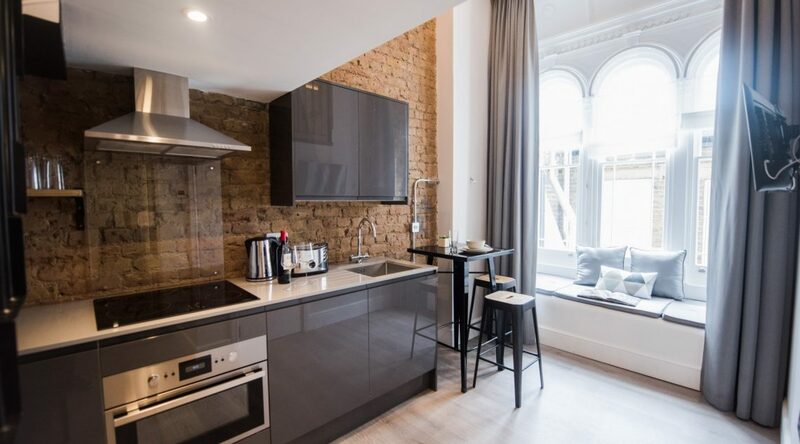 Apartment LG25-13 - Notting Hill Apartments Ltd. 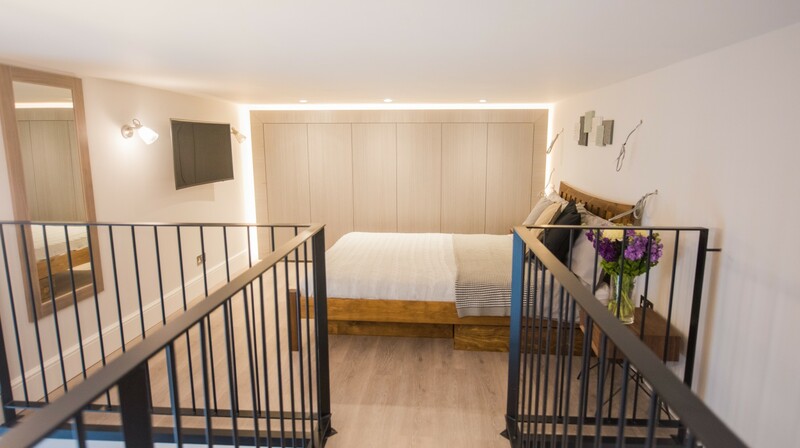 This interior designed apartment is in a grand Victorian house on a quiet tree lined street in the famous Notting Hill area of London. 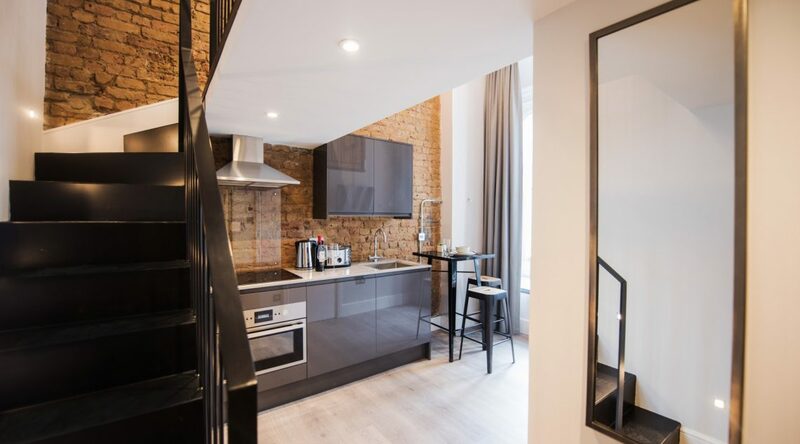 The designer has retained many original Victorian features of the apartment while bringing a contemporary feel with the use of exposed brickwork and modern joinery. 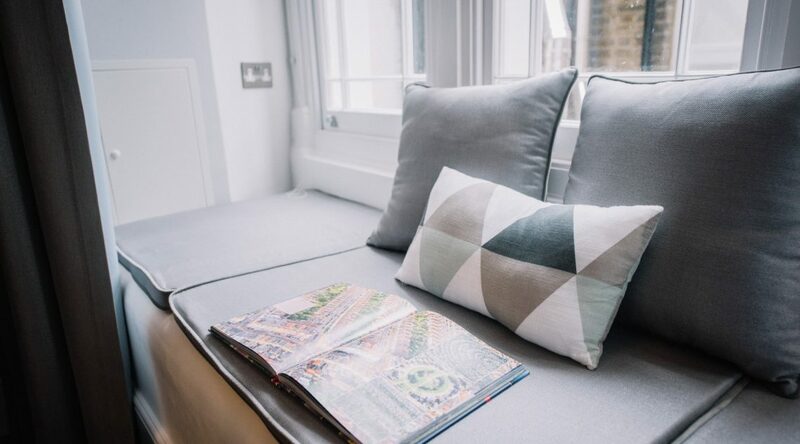 Add to this, the enormous, original arched windows provide excellent natural light and this apartment really has a stylish and inviting feel. The large flat screen, smart TV invites lazy movie nights on the sofa. There is a small French Tollix style bar table and stools which can double as workspace. 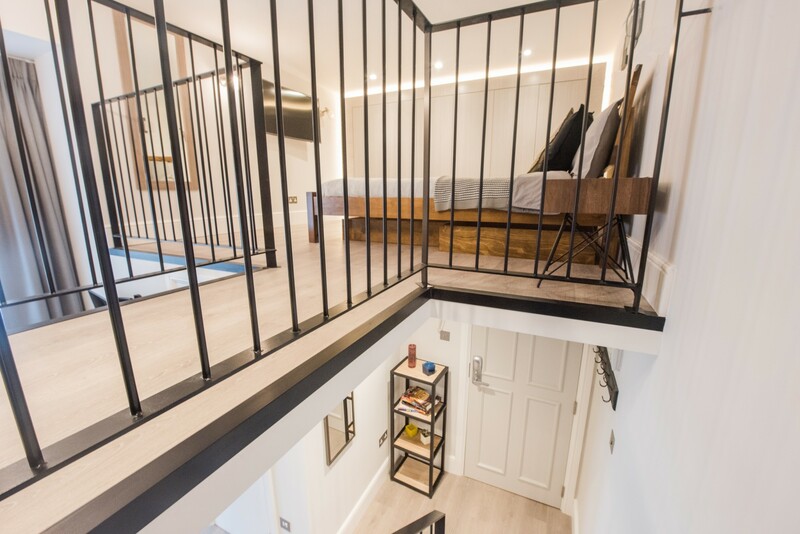 With amazingly high ceilings, the apartment has been cleverly designed to provide a separate sleeping area on a mezzanine floor, reached via the custom built black steel staircase. 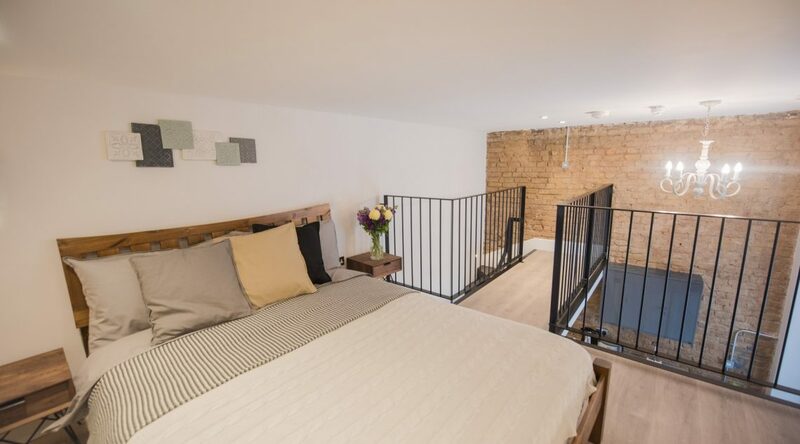 While technically, this is not a one bedroom flat, this arrangement nicely separates the living and sleeping areas and is quite unusual when you rent a studio in London. The bedroom has an additional flat screen smart TV and enough wardrobe space for heaviest of shoppers! 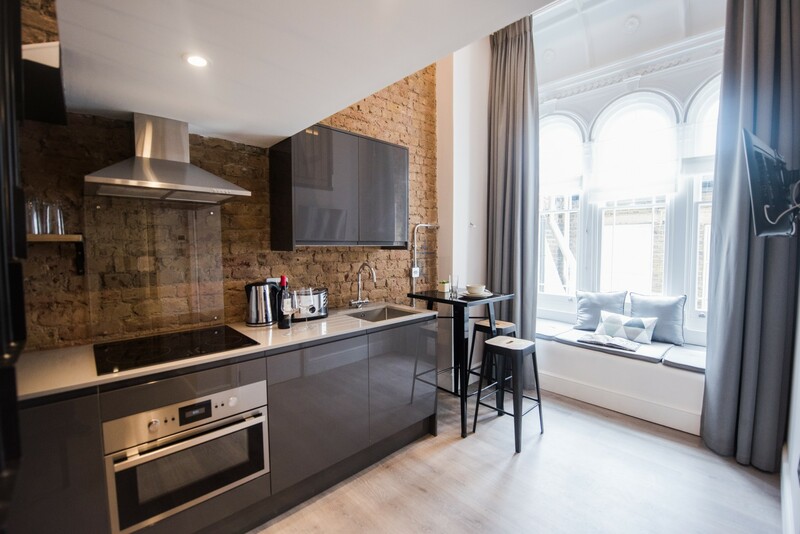 The newly installed contemporary kitchen in mocha gloss includes an integrated fridge freezer, oven and hob and everything you need to get cooking, from saucepans to serving spoons. There is a washing machine and dryer in addition to the separate laundry room in the building. 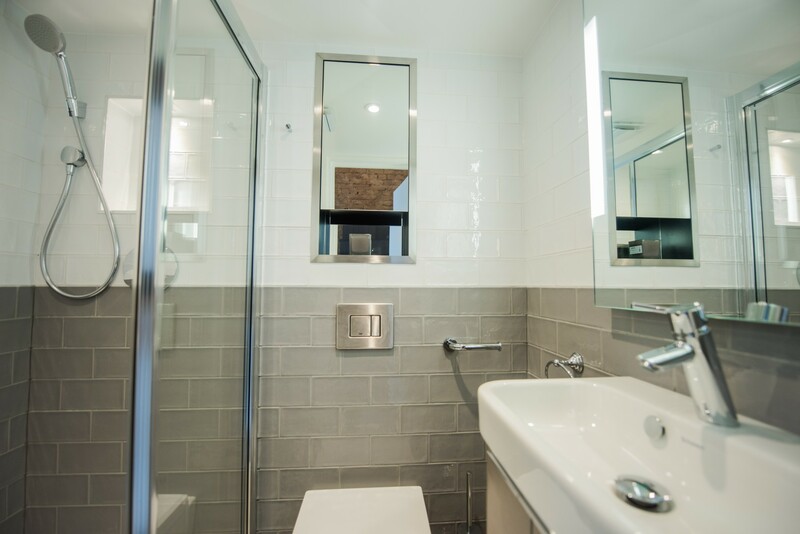 The elegant, glass tiled bathroom has a walk in power shower with separate hand shower for a refreshing start to the day and for those chilly London winters benefits from underfloor heating. 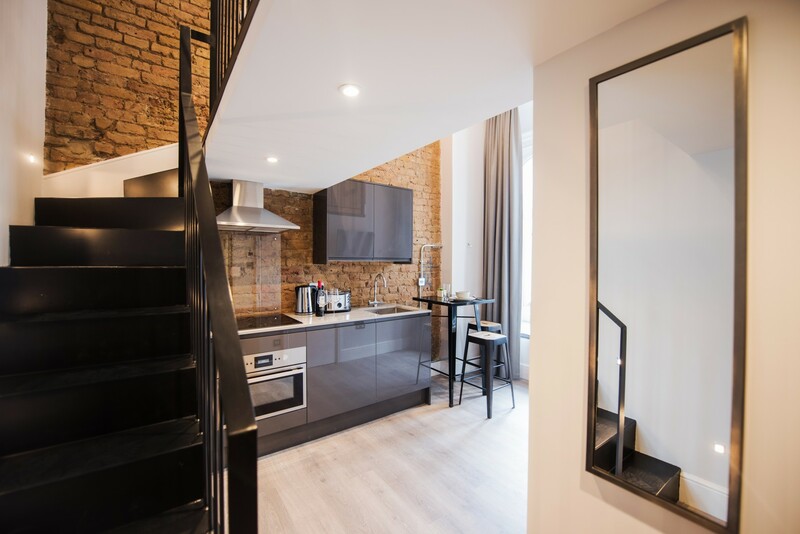 When renting an apartment with us, the rental cost includes all utility bills (electricity, gas and water), TV and free WiFi. 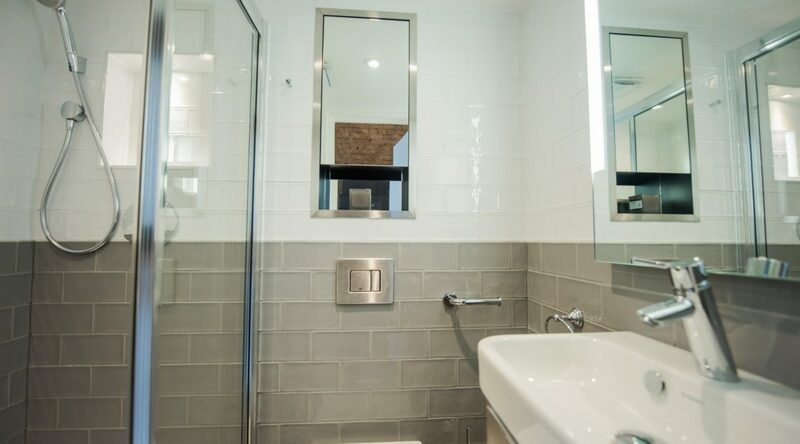 We can also arrange a weekly cleaning service should you wish. The building benefits from CCTV security and an entry phone system in each apartment. 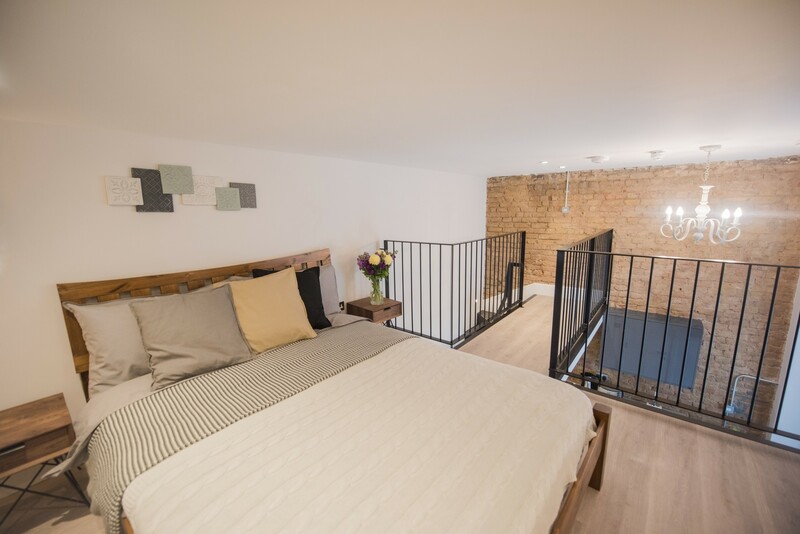 The apartment is a five minute walk to the Tube, affording you fast access to all areas of London. There are also numerous bus routes nearby if you prefer above ground travel. 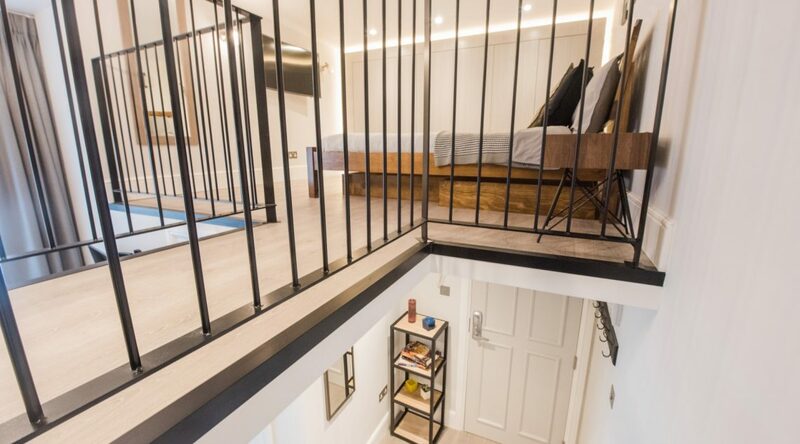 If you are looking to rent an apartment in London, Notting Hill is an lovely neighbourhood with a village vibe. The area is famous for its appearance in movies, it’s pretty streets and the weekly Portobello Road Market. 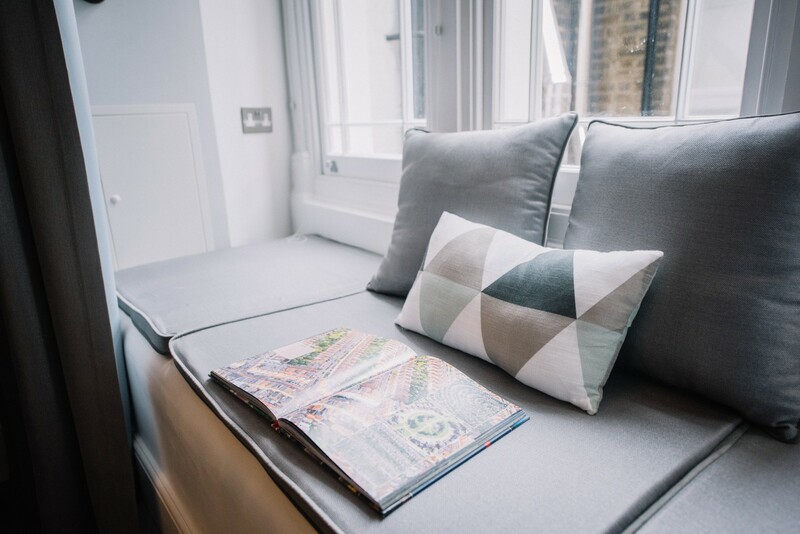 You can find out more about the area in our area guide.